Although I was just a Fan. With the loss of this great man. He was the master of the Nascar! Respected by all his peers. It's for them I shed my tears. Each time I go to the track. Who was always ahead of the pack. This truth we all do know. To many he was their Hero. 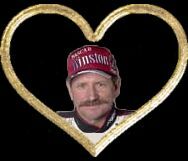 If you were a fan of Dale Earnhardt please take a moment to sign the guestbook.